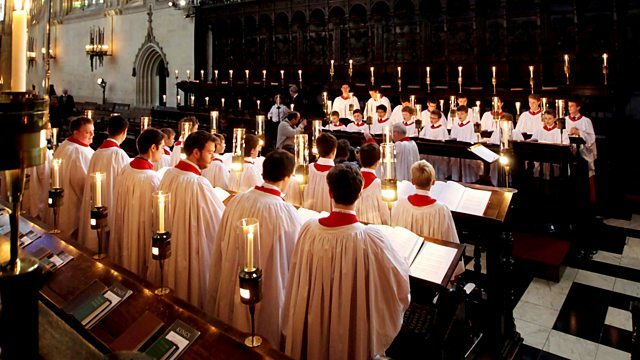 From the candlelit chapel of King's College, Cambridge, and based around nine Bible readings interspersed with Christmas hymns and carols sung by the world famous chapel choir. For many people around the world, A Festival of Nine Lessons and Carols, live from the candlelit Chapel of King's College, Cambridge, marks the beginning of Christmas. It is based around nine Bible readings which tell the story of the loving purposes of God. They are interspersed with carols old and new, sung by the world-famous chapel choir who also lead the congregation in traditional Christmas hymns. How and why a great Christmas choral tradition began. Former choristers share their memories of singing the Once in Royal solo at King's.